A quality of young skin is its’ ability to effortlessly eliminate dead skin cells as they reach the skin’s surface. This helps keep complexions looking fresh and smooth. 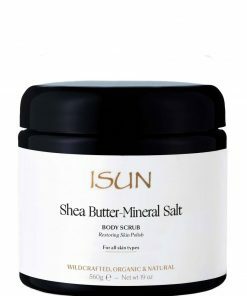 As we mature, the process of sloughing off dead skin cells slows down allowing them to accumulate on the skin’s surface. This can result in a dull, dry and more aged appearance. 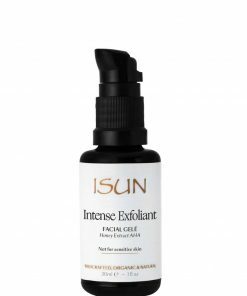 By gently exfoliating our skin routinely, our complexion takes on a renewed smooth texture and a glowing appearance of healthy, radiant skin. 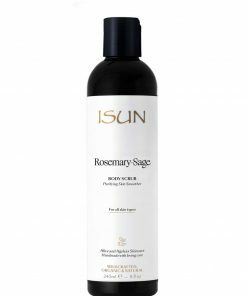 then cleanse skin again with your ISUN cleanser. 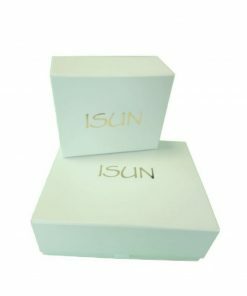 on damp skin, Rinse well, then cleanse with an ISUN cleanser. 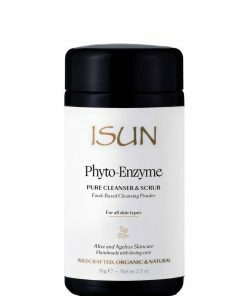 to 1 - 2 pumps of your ISUN cleanser and gently scrubbing skin in circular motions for 1 - 2 minutes.